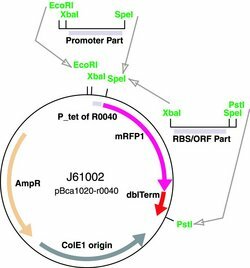 Manchester 2017 used this part to create part LowPromoter_PduD(1-20)_mCherry (BBa_K2213006). 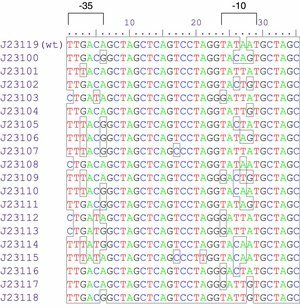 This promoter was combined with PduD(1-20) to create a tag with lower expression levels. 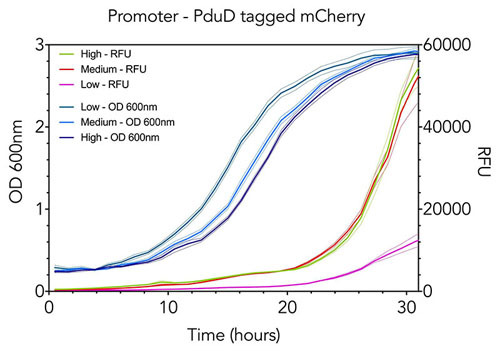 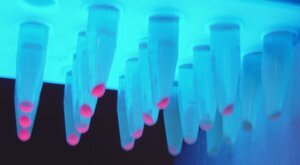 The mCherry tagged PduD(1-20) localisation tag displayed lower fluorescence levels under the low promoter as compared to under medium (BBa_K2213007) and high strength (BBa_K2213008) promoters, demonstrating correct function.